Pike Hill Signal Tower is a Roman signal station dating to the early 2nd century, later incorporated into Hadrian's Wall. It stands at right angles to the line of the Wall, presumably to allow for easier signalling to other signal stations at Barrock Fell and Gillalees Beacon. 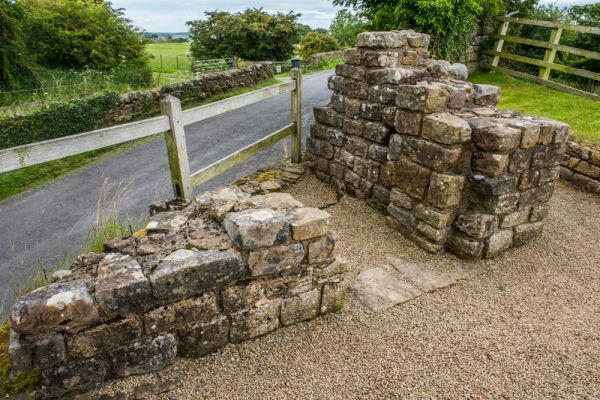 Investigations by archaeologists in 1931 and again in 1971 suggest that the signal tower was erected before Hadrian's Wall was begun in AD 122. It probably formed part of the Stanegate line of defences built by the Roman army to consolidate conquered territory on the northern frontier of the new Roman territory of Britannia. When the Wall was erected, the existing signal tower was incorporated into it. The tower was about 20 feet square, with extremely deep foundations, which would indicate that it originally stood to a very great height. 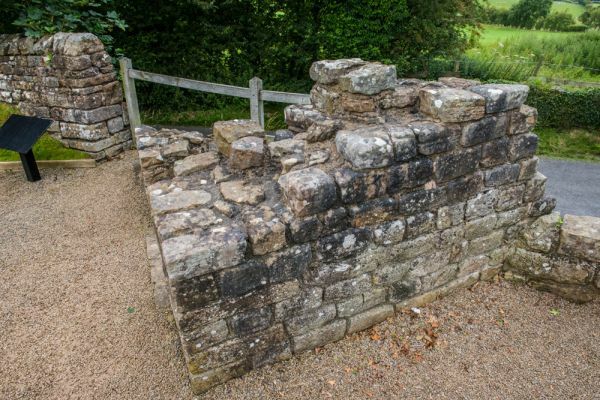 The masonry was of a very high standard, suggesting that it was better built than the nearby turrets on the Wall. 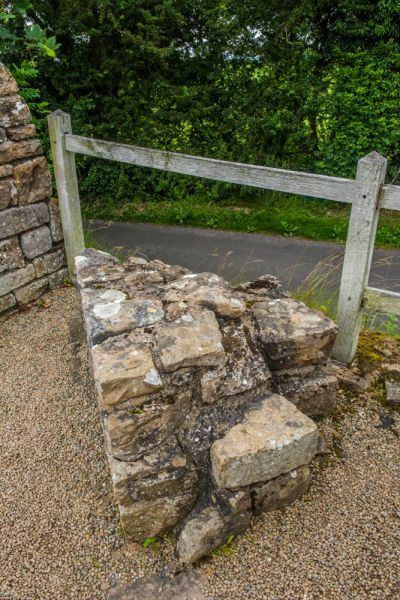 Unfortunately, parts of the tower have been destroyed to make way for the modern road, but a 2-metre section of the south-east wall remains, standing 0.6 metres high and 0.8 metres deep. Pottery remains indicate that the signal fort was still in use as late as the late 4th century. 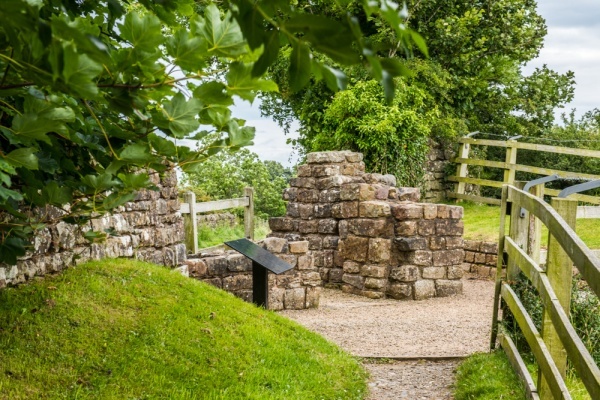 Pikes Hill is just a 3-4 minute walk along the Hadrian's Wall Path from Banks East Turret, the best-preserved turret on the Wall. There is a large parking area at Banks East. It is really unfortunate that the modern road has destroyed so much of the signal station. As you approach the site you can't help but wonder where the rest of it is! 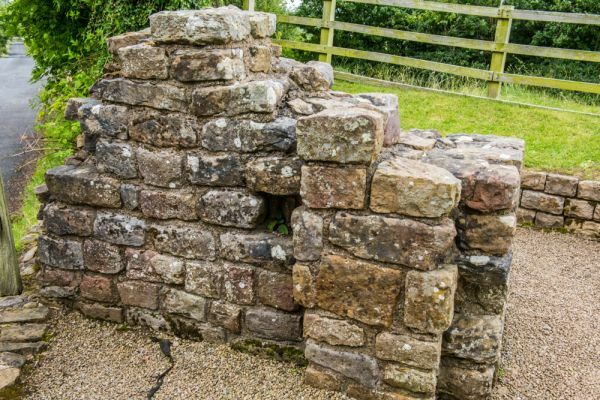 All you can see are 2 small sections of stone wall, offset from the course of Hadrian's Wall, with what appears to be an entrance opening in one side. One triangular section of the wall stands 4 courses high the other, larger section, is about 10 courses high at its tallest point. And that's it; that's all there is to see. The views south over the River Irthing are fabulous, though, and well repay the short stroll from Banks East parking area. Location: Off a minor road east of Banks village. Open access site. Easy walk from Banks East Turret.